Virginia Integrative Medical always appreciates feedback from our valued patients. To date, we’re thrilled to have collected 1 reviews with an average rating of 5 out of 5 stars. 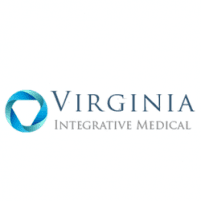 Please read what others are saying about Virginia Integrative Medical below, and as always, we would love to collect your feedback. Dr. Tran always take time to explain everything and you don’t feel hurried. Dr Tran and his are all great!